Arctostaphylos densiflora is better known under its common names “Vine hill Manzanita”. 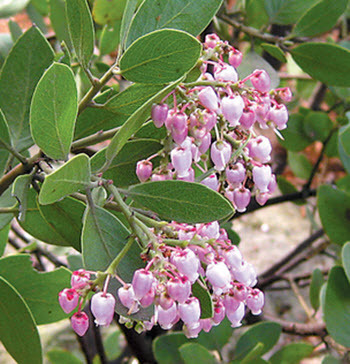 The Hill Manzanita is a California endemic plant and is only found wild in a single place with a population of around 30 individuals, in Sonoma County. This makes the Arctostaphylos densiflora a very rare plant and a highly protected plant. The Arctostaphylos densiflora is declared endangered and protected by the California Native Plant Society. The only other observed populations of Arctostaphylos densiflora are cultivated. The plant grows into small shrubs, which are clumping together and rarely get over a meter tall in the wild. You will see that the stems are able to root where ever they are in constant contact with the ground. The bark on the stems has a dark red color and the leaves sit randomly spread out on them. The leaves are a pale green color, have a waxy shine, the shape can be described as oval to wide lancet and they measure up to 3 centimeters in length. The plant bears numerous large Inflorescences of flowers, which are colored a delicate pink and shaped like hanging urns, which opens to the bottom. Upon pollination the flowers will develop into small drupes no longer than 5 millimeters. The Arctostaphylos densiflora will tolerate rich soils in cultivation circumstances, but highly prefer more sandy, well drained and loamy soils. 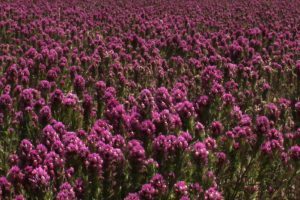 It also has a relatively high drought tolerance and can be accustomed to high levels of clay. One of the few things it absolutely cannot tolerant is direct salt sprays, but seems to have a resistance to ocean winds. The accumulation of these traits is what makes them rare and the only habitats they are found in are closed-cone pine forests and coastal sage scrubs. 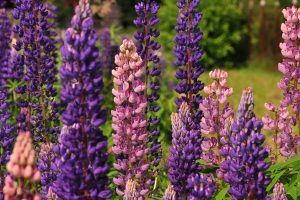 If you want to introduce native plant species to your garden and you live in California, this one is strongly advised. Not just because it only have one very fragile population in the wild, but also because of its usefulness. 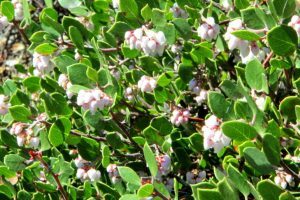 As many of the Manzanita the Arctostaphylos densiflora are superb at attracting both butterflies and hummingbirds and will bring a nice element of life to your garden. You can also eat its fruits and make them into preserves. And because of its density and height, it works well as a low hedge to create perimeters of all sorts. So go out and get some seeds so you can help a dying species and decorate your garden at the same time.